Sweet tooth: prepare for action. 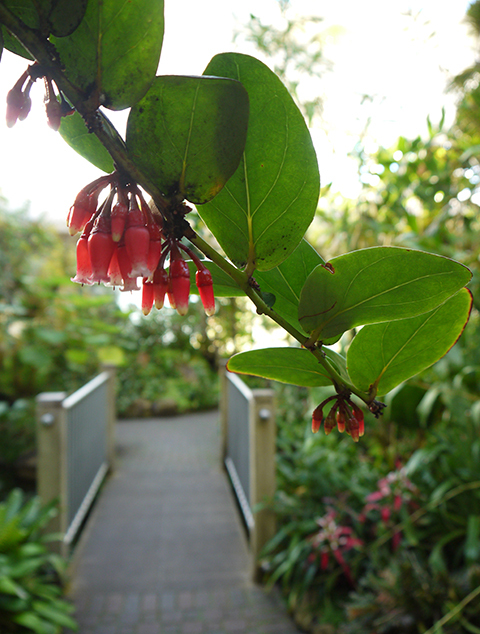 One of the most spectacular of the tropical blueberries is in flower now in the Tropical High Elevation House. Cavendishia grandifolia fruits have been recently recognized as an extremely potent source of dietary antioxidants. Aside from being beautiful and nutritious, the plant is remarkable for its size: the sprawling stems on our plant are about ten feet in length. It is an enormous epiphytic shrub. 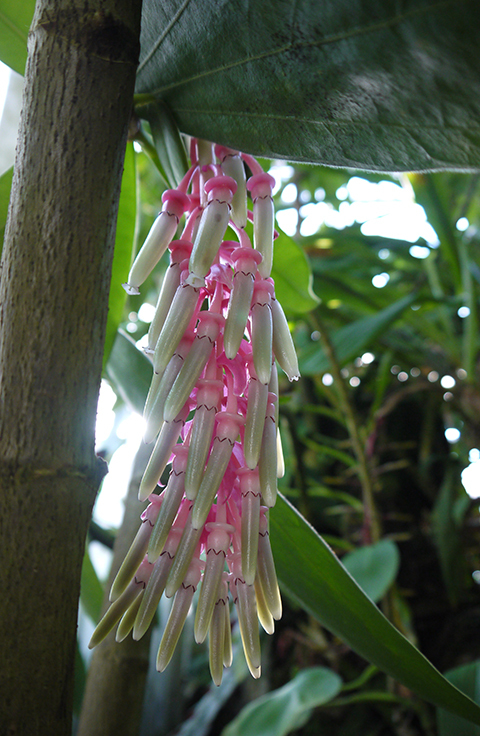 Cavendishia micayensis inflorescences cascading over the face of the waterfall. 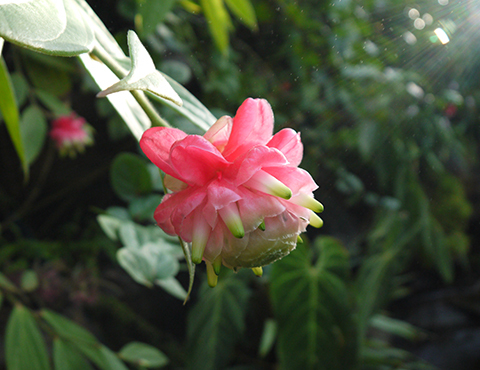 The green tipped flowers can be seen among the billowy pink bracts. 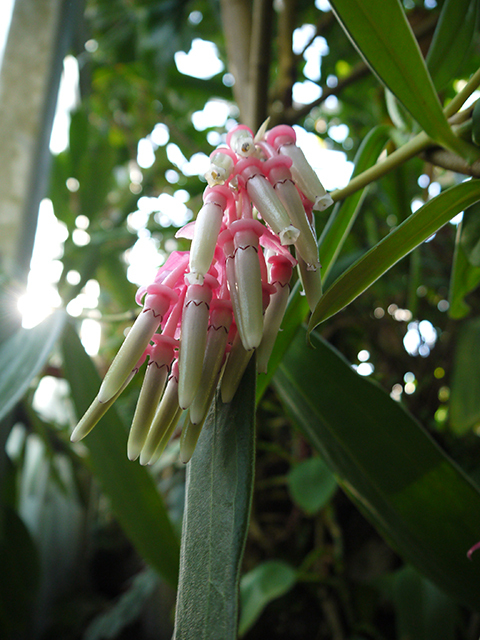 Cavendishia bracteata with gorgeous translucent bracts. 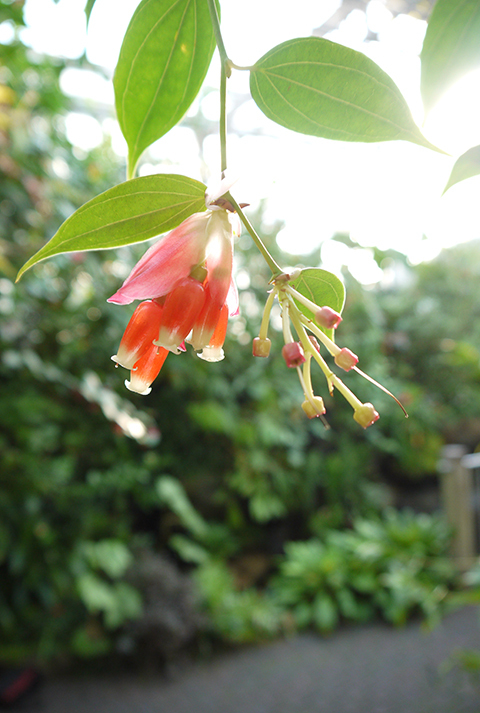 Cavendishia grandifolia and C. micayensis will continue to flower through January. Stop by and see these marvelous plants!